Browse the latest available Hawkstone real estate listings in North Regina below! Hawkstone is one of the newest developments in north Regina. Hawkstone real estate is located east of Pasqua Street off Rochdale Boulevard and north of Argyle Park. One of the first things you notice as you drive into Hawkstone is that the area is brand new. Condominiums have a modern, fresh look that is appealing to new home buyers, retirees, empty nesters and young professionals. 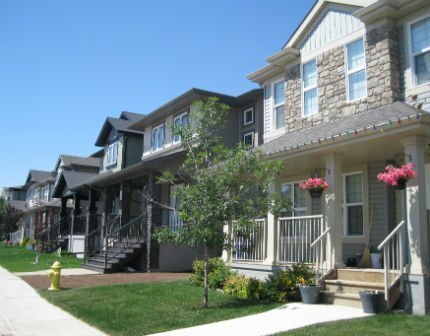 If you are looking for the ultimate in carefree living, there is a nice variety of townhouses available. Curb appeal! Are you looking to buy your first home or wanting to move your family into a brand new home? Charming craftsman style homes will welcome you. 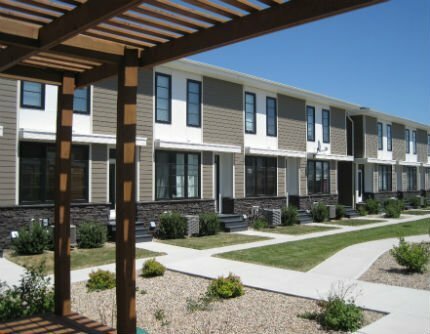 Check out the beautiful Hawkstone homes for sale available below, or learn more about the incredible lifestyle awaiting you in this North Regina community. Attention to open concept living and functional family-friendly floor plans make living in Hawkstone homes for sale highly desirable. Centrally located in Hawkstone is Hopkins Park, a beautiful green space for the entire family to enjoy. There are paved pathways, benches and a playground area. Interestingly, Hawkstone’s streets are named after some of the best CFL football players to play for the Saskatchewan Roughriders. Your address could be on Elgaard Drive, Ridgway Avenue, Suitor Crescent or Narcisse Drive to name a few. That being said, approximately 535 single-family homes and 1,350 multi-family units along with a commercial development has sprung from the ground at Hawkstone and continues to develop. Are you interested in learning more about the Hawkstone homes for sale? We encourage you to contact the Tourney Group online or call 306-789-1700 to touch base with a qualified, local Regina real estate specialist.